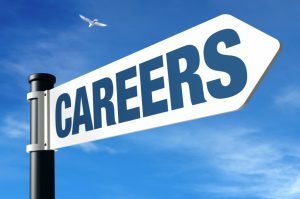 You start a career with the intention of it being a life-long decision, but life gets in the way and before you know it, you want a career change. Some professionals enter into a career and simply grow out of it or the field becomes obsolete or is less in demand. Have you recently graduated from a Colorado college or university? If you’re wondering what the next step is for your career, call our temp agency in Longmont today at (303) 729-1000. When you’re a freshman in college, you’ll have a “dream” job in mind. This is a career path you may follow, and you may even enter into the field after graduation. As life changes, so do your passions. The original plan will change over time. You want to keep in mind that there will be changes to your original career plan and that as long as you’re comfortable in your current position, change is fine. If you’re just entering a career out of college, recruiters will ask about your grades. You may even have to provide your transcript to a recruiter. What you do now, while you’re in school, will have a major impact on your initial career opportunities. As you gain experience, your grades will matter less. This is a very difficult subject. When you get a degree, it’s about the learning experience and proving that you have the willpower and dedication to reach a goal. Of course, you won’t find many people that go through medical school working as a car salesman, but you might find someone with a degree in education working in a marketing agency. Education matters, but your degree can open doors into other fields. Your social skills, the people you meet and network with, will matter all throughout your career. You’ll need to work in teams, and you may even lead teams. Human interaction is a skill you’ll need to learn and keep honing throughout your career. Go outside of your comfort zone and challenge your social skills. Entering the workforce and staying on top of the career ladder will require sharp social skills to find success. Far too many freshmen enter college and go through their degree without being ready for the commitment of studying and remaining focused. Oftentimes, it’s better to put school on hold and enter the workforce instead of racking up student loan debt and flunking in the process. Many professionals go back to school later in life because they can remain focused and be diligent with their studies. There are also many career paths that don’t require a degree. Electricians and plumbers, for example, make a very good wage and don’t need to go through college to be success. Don’t let this exciting time in your life become overwhelming! Call Employment solutions today to speak with an experienced temp agency in Longmont, CO at (303) 729-1000.